You’ve reached the page of The Sleep Studies dedicated top Intex air mattress models. To get to the results you’re about to see, we tested and rated 24 Intex models in 5 quality categories. Before you move on, watch the short video to make sure you understand what you’d looking at. In case you are new to our site, we test and rate airbeds in 5 quality categories. One of them is “value for money”. And this model holds the higher ratings in that category for 4 updates now (8 months). The new proprietary FiberTech technology changed it all for Intex. Until the Durabeam Series hit the market, the company had the reputation of making budget-friendly inflatables but this also meant that they couldn’t really compete for the top tier of the industry. The introduction of the FiberTech technology eliminated what used to be the no. 1 cause of air leaks and subsequent sub-par ratings in “air retention” – seam leaks. The thickness of the vinyl is the standard 0.4 mm – so, the increased durability is obviously the result of the fiber-tech fibers. These fibers connect the top and bottom surface and make the bed more stable. Besides the lowered stress on the seams, it also means better weight distribution and minimal sinking to the middle of the bed. The Comfort Plush Raised will be the choice of people looking the maximum value for their buck. It doesn’t feature any bells and whistles (like remotes or smart pumps) but it has no true competition in its price range. Just as food for thought – airbeds that are close to the ratings cost anywhere from 70-400 % more. Main CON – the one thing that we didn’t like is the fact that we’ve seen this model go out of stock. In our ratings, this is the second best Intex air mattress. Not surprisingly, it’s one more model from the Durabeam Series and it also features the trademarked fiber-tech inner construction. The “outer” design is closer to that of a classic models and we do prefer the looks of the Comfort Plush. Its main advantage is the price point, but that only really applies if you’re comparing it to similar models from other brands. Both the Queen and Twin size are in the same price range. Who will choose the Pillow Rest Deluxe? The Deluxe might be for you if you need an affordable pillow-rest model – the raised top chamber does a good job of keeping your pillow in place. So, if your plan is to use it in the middle of the room and you are a restless sleeper, the Pillow Rest chamber will make a difference. This model isn’t close in ratings to the Durabeam FiberTech Series of the Deluxe version. As you’ll see below the gap in ratings is full 10 points and the only category whether the two are close is “value for $”. This model that features the traditional Intex inner design – beams with vinyl chamber separators. What we’ve seen in our tests over the last 4 years of testing airbeds is that a classic beamed design can rarely compete with chambers or, in this case, fiber separators. The main reason is that fibers don’t stretch as much and that results in lower %s of seam leaks and a more stable inner structure. If you are specific about size you’re looking for a full-sized Intex, our pick in the size is the Comfor Plush Mid-rise. It’s a very similar product to the top-rated model, with a significant difference in height. Sitting at 13 ” inches high, this full-sized model has similar quality ratings to the elevated version. In terms of raw quality, this full model is not lacking compared to the models above. However, we have seen a difference in the “user satisfaction” stats. The most probable explanation for that is the fact that the height is a bit awkward and hard to get get up from, especially for the elderly. Below are our top picks among Intex pumps. The ratings are based on air flow capacity, power (or battery life for the battery-operated pumps) and the user satisfaction. In the FAQ section below, we’ll go over some of the questions people emailed to ask us about over the years regarding the Intex pumps. Are power cord included with it, like a DC cable to plug into the cigarette socket? No, it does not. It only operates with batteries. Can it be used for other things like a basketball or bike tires? Does it have a reverse setting for deflating? What type of batteries it uses? How long can it run in one go? How do I use it to deflate? To deflate simply switch the hose attachment from one vent onto the other and turn in on. One vent inflates and the other deflates. How many uses can one get out of one set of batteries? Can it be used to blow a boat or pool? Unfortunately no. It is not powerful enough for such large products. How long does it take to fill up a queen sized mattress? Does it have adjustable air flow? No, it does not. Just one stream speed. Can it be used to inflate swimming rings? Can it be used to inflate a swimming pool? It would be suitable for a small pool. Do you have to hold the switch the entire time or can you turn it on and leave it while it’s working? Can it be used with a car adaptor? Unfortunately, it can not. Only an electrical plug. Can it be used to fill up a twin or queen-sized mattress? As long as the attachments are compatible it shouldn’t be a problem. Will it work on vacuum space saver bags? Intex Recreation Corp. is a part an international family of companies that specializes in distributing above ground pools, airbeds, spas, pool toys, furniture, boats and more. For over 40 years their objective has been to deliver the highest quality products at an affordable price. In their own words, the company aims to be the most recognizable and innovative company on the market today with their products available in more than 100 countries around the world. Committed to decreasing the carbon footprint, the company has been working for over 10 years with suppliers that help reduce the number of fossil fuels used in the creation of their products. All products purchased directly from Intex, either online or over the phone has a 30-day return policy. This 30 day period begins from the day the product has been delivered. Shipping costs for products that meet the reimbursement criteria are not refundable. In case of receiving defective or an incorrect product, please call Intext before returning the product. The issue must be reported within 15 days from the day of delivery. If you’ve discovered a leak or a rupture on your mattress, don’t worry. There’s an easy solution on how to fix it. Some mattresses already come with repair kits but what if you find yourself without one. Here is how you can repair an air mattress at home. Once enough time has passed for the glue to dry, inflate the mattress and check if the patch works. Note: To assure that the patch adheres properly, lightly sand down the spot to create texture. This is necessary for mattresses with flocked tops as it’s velvet-like texture doesn’t allow the patch to be applied right. 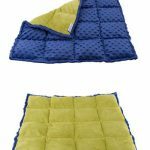 In the FQ section below, we list the answers to the most commons questions about the airbeds we listed as top picks. Is the pump 120 volts or battery powered? It’s built in, battery-operated with a plug that fits into a standard outlet. It turns on with a flip of a switch. No batteries needed for this mattress. How do you inflate it manually if used for camping? By using the battery-operated pump and the right size adapter. This mattress takes a lot of air and inflating it manually would take a lot of time and effort, except for minor top-ups. The weight limit is 600lbs for the Queen size. Using a protective mattress pad cover and vacuuming the top part when needed should do the trick. Would this be a good replacement for an everyday real mattress? Yes. Air beds are adjustable, meaning you are able to adjust the firmness to your liking to best suit your needs. Is it hard to move around and “manipulate”? When it’s deflated, yes, it is fairly heavy. However, blown up it’s pretty easy to move around. The easiest way to do it would be to inflate it all the way up and slowly release air until you’ve reached the desired firmness. Is it easy to pack and store away once it is deflated? Once deflated the mattress goes back into its duffle bag fairly easily. Keep in mind the bag will be relatively heavy once compacted. How long does it take to deflate? Does it automatically stop inflating if it gets too full? No, you will have to manually turn it off once you reach the desired firmness. How tall is the mattress when inflated? How much does it weigh when deflated? Can it be inflated using a manual pump? Is it easy to inflate and set up? To inflate, simply plug it in and flip the switch. Make sure the deflate valve is closed before turning it on. Does it automatically stop inflating once the mattress is full? Does it come with a repair kit in case of a rupture? Can it be used on water? No, it is not designed to be used on water. Water can damage the electrical components. What are the dimensions when storing this mattress? 18 1/4″ long, 14 3/4″ high and 7 1/4″ wide. It easily folds back into the box that it came in or into its carry bag. Can I take it camping? Yes. However, make sure it is not on top of anything sharp that could puncture the bottom. To be safe, place it on a tarp or mat to create a barrier between the ground and the mattress. Which material is the bed surface made of? The top layer of the mattress is a flocked top. A soft, plushy kind of material. It adds comfort to the mattress while helping to keep the sheet on. Is this mattress good for camping and can I use it with a standard battery-powered pump? Yes, it is suitable for camping. It is possible to use the air pump with the cigarette lighter socket in your car in combination with a power converter. Will it burst if overfilled? The built-in automatic fill to a certain pressure before it begins to change the sound. This will let you know that the mattress has reached its limit. Does it make a lot of noise if the person using it moves or rolls over? No, this mattress is very quiet and there shouldn’t be any disturbing noises coming from it. Is it possible to use additional pillows with this mattress? Yes, it shouldn’t be a problem. How well does this mattress hold up with cats and dogs? The mattress is sturdy and has a fairly good weight limit (300lbs – for the twin) so it shouldn’t have an issue holding up pets. Will the it work with 220V outlet? With an added external converter it will. Can the electric cord for be removed to keep safe from children? Yes. The cord is separate. What is the height of the mattress when inflated? The height is around 18 inches. Will it work with a standard, fitted sheet? Yes, a regular sheet will work well with this type of mattress and won’t slide or pop off. Can it be used immediately out of the box? Yes, however, you will have to refill it every few hours or the next day as the material is still expanding at the beginning. How fast does it deflate?